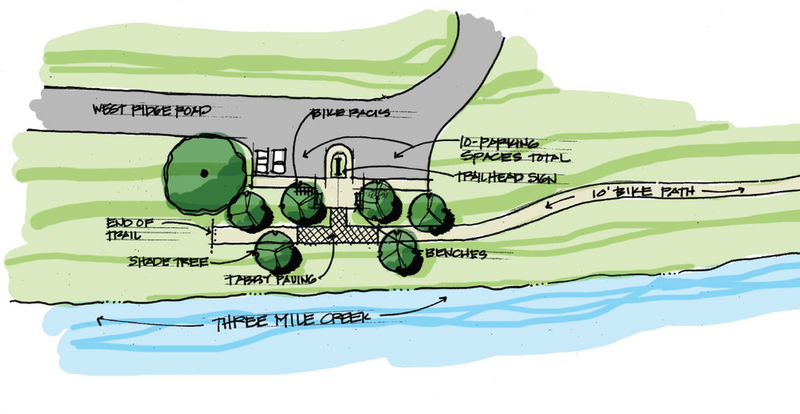 The City of Mobile, Alabama's Community and Housing Development (CHD) Department is working with Jane Reed Ross Landscape Architecture, Inc. along with Dorsey and Dorsey Engineering and Thompson Engineering to develop plans for the first phase of the Three Mile Creek Biking and Walking Trail. 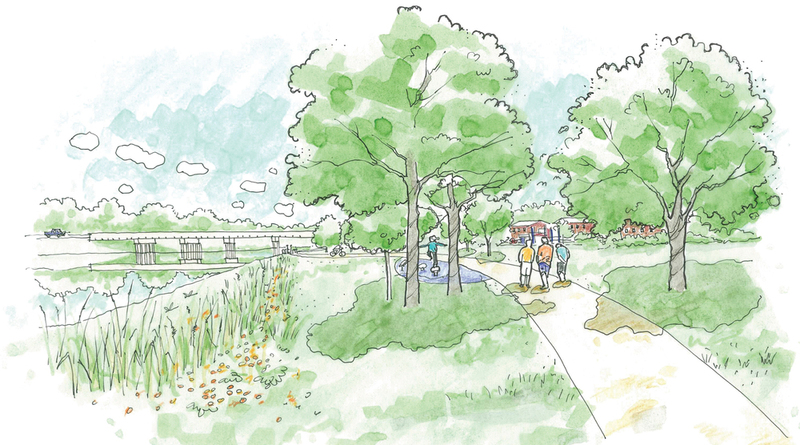 The objective is to create a design that supports a vision to transform Three Mile Creek from a degraded urban storm water conveyance to a community asset that would eventually include a 12-mile greenway system. This system would connect diverse neighborhoods with existing and planned park facilities utilizing fitness trails, kayak launches, and low-impact recreational development. The Trail is targeted for completion in 2016. The Three Mile Creek Trail creates a recreational landscape for residents and visitors of Mobile, Alabama. New hardscaping, landscaping, and wayfinding reveal the assets of the forgotten landscape alongside the creek. 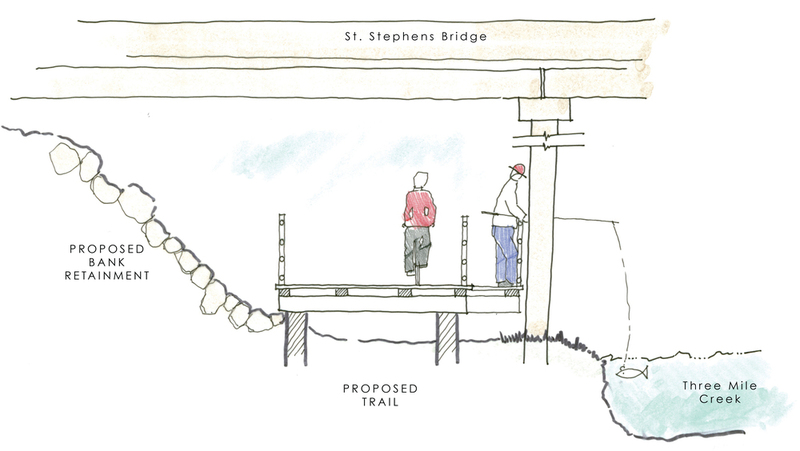 Phase 1 of the Trail begins at Dr. Martin Luther King, Jr. Avenue and travels west under the St. Stephens Road Bridge, past the USA Children's and Women's Hospital Campus, to Lake Drive Tricentennial Park. The sidewalk trail will eventually provide opportunities for walking, running, and cycling and will be supplemented with benches, trash receptacles, lighting, and adjacent fitness circuit stations. Creation of the first section of the Trail will not only demonstrate the City's commitment to the transformation of the Three Mile Creek watershed but will also provide a springboard for future sections of the trail and leveraging additional financial resources. Section 3 - Trailhead at Dr. Martin Luther King, Jr. Ave. Section #1 Trailhead at MLK Ave.